The 2014 harvest is memorable for many reasons, but the standouts are the different climactic conditions which made growers and enologists work especially hard, and which resulted in very varied wines. We saw everything from a late frost, rains at the beginning of the grapes’ maturity to an early frost, nonetheless based on the areas and terroirs we have also been able to create excellent wines. Thus, this harvest will be remembered for the hard work it generated, the varied and entertaining situations it created, but above all, because of some surprisingly elegant wines of medium body and structure. The spring began with a somewhat uneven budding in some areas, especially those affected by intense cold when the buds were swollen and with only a few leaves. The different vineyards rapidly balanced out, displaying well-formed clusters, but with fewer grapes than the previous year. That is to say, lighter and looser clusters, but well formed. The growth of buds was quick in general for the different varieties and though the harvest was assumed to be of less quantity than in 2013, we expected a good volume. Nonetheless in November there was a late frost that affected some areas, especially the vineyards located in eastern Mendoza and San Juan. Thus many vineyards of table varieties, criollas and early varietals such as Chardonnay and Pinot Noir suffered some damage. Others of later budding, such as Malbec and Cabernet Sauvignon were not affected. December and January were fairly warm and dry, giving excellent health to the vineyards. However, February was very rainy, though the rainfall varied depending on the area. In Mendoza there was an average of 140mm that month, more than half of the average yearly rainfall. Though March was much drier, there were some intense rains, especially in Valle de Uco. The mean temperatures dropped significantly in February and especially in March. The results of this humid climate were very different according to the regions and vineyards: those which were well balanced, of adequate production and adequate treatment sustained no harm, but those of heavy production, with great vegetative development suffered some rot. (Especially common grapes in pergolas). White wines and sparkling bases harvested before the rains show excellent quality. The fresh and intense aromas with floral notes are of note, as are the volume and medium structure. Except on rare occasions there are no very concentrated wines. The potential early harvest was derailed by the February-March climate change, and maturity advanced slowly afterwards. 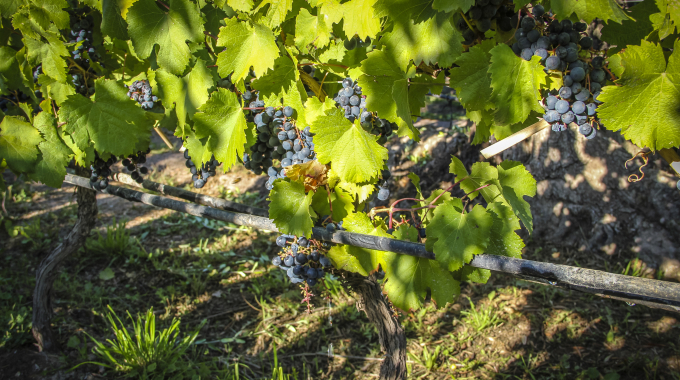 Thus many vineyards were harvested later than usual, between one and two weeks according to zones and varieties especially Malbec, Cabernet Sauvignon and Petit Verdot in Luján de Cuyo and Valle de Uco. Towards the end of the period and to complete this varied and lively harvest, there were further rains. But this time without negative effects as the temperature also dropped significantly, reaching below zero degrees centigrade in some cases. This year’s red wines are distinguished by their intense color, the fresh, spiced and floral aromas and red and black berries, with medium volume, body and structure in the mouth. I believe it will be a harvest noted for the elegance and freshness of its wines. Who knows, perhaps they will resemble those of 2007, which grew during aging in barrels and bottles and came to stand-out.